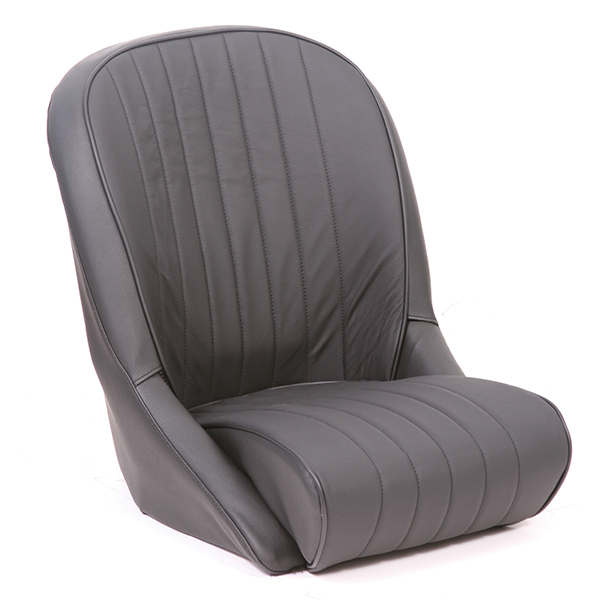 A “good old fashioned GT seat” with an upright driving position and a moderate degree of side support. 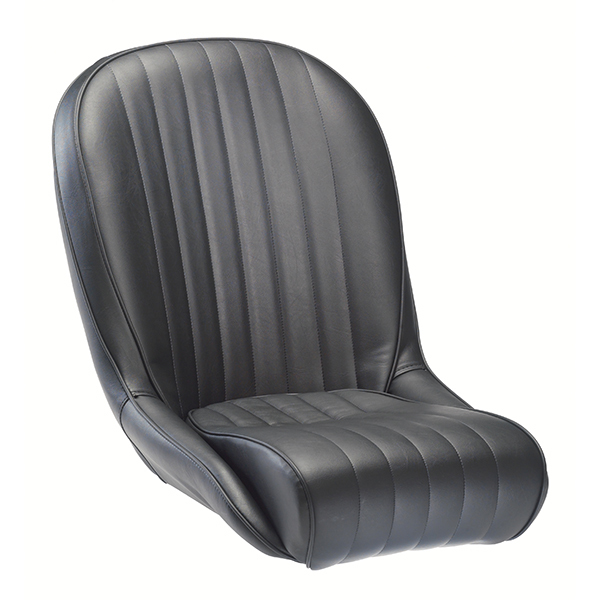 Classic/period fixed back sports seat. Traditional styling with modern construction. 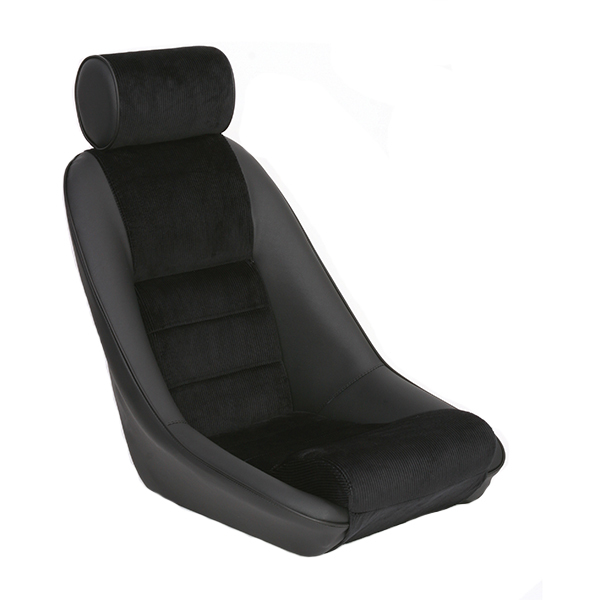 Tubular steel frame with base suspension diaphragm. 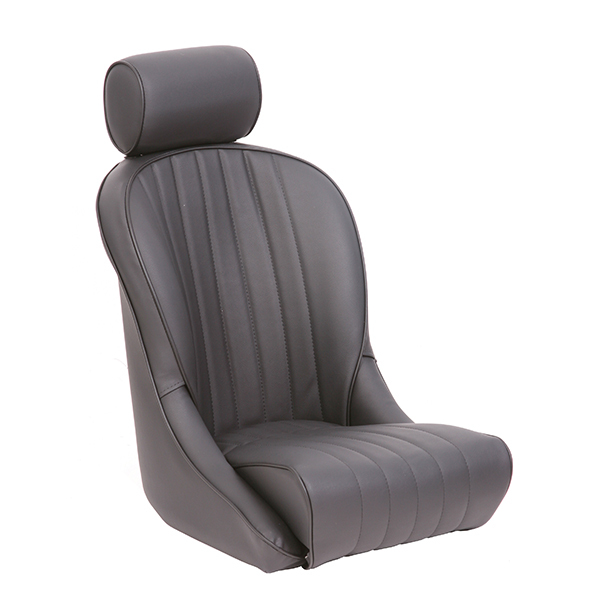 Heavy duty standard vinyl upholstery in black or grey. 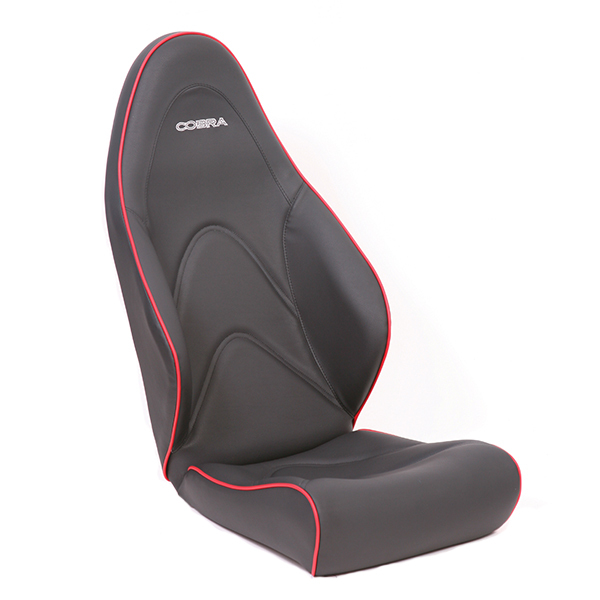 Extensive fabric, vinyl and leather Signature options.